When Should You Wear Ear Protection? What is ear protection? More often than not, a hearing care provider will define it as any device or object that helps protect the ear from dangerous sounds. What’s a dangerous sound? Generally speaking, it’s anything above 85 decibels. The protectors work to reduce the noise you’re exposed to, so you hear it at a much quieter volume. As a result, you won’t end up with permanent hearing damage. Should everyone wear ear protection? No, it’s not something that’s essential for everyone, every day. But, there are some scenarios where you should definitely protect your ears at all costs. In this blog, we’ll show you exactly when you should wear ear protection! Do you work in an environment that’s exceedingly loud and noisy? Perhaps you work in a factory, on a construction site, as a musician, or at an airport? There are loads of jobs that require you to be surrounded by noise at all times. If this is the case, and your ears are often ringing after work or they feel noticeably sore, then your hearing care provider will recommend you wear ear protection. Most people reading this will have access to some type of power tool at home. This could be a drill, a saw, or even gardening equipment. If you ever use tools like these, then they tend to emit sounds that reach the dangerous decibel levels. Even if you use them for a few minutes, it can still damage your hearing. As such, it makes sense to pop in some ear protection whenever you use loud tools or devices at home. Going to concerts can be very enjoyable, but there’s no denying your ears leave feeling much worse for wear. 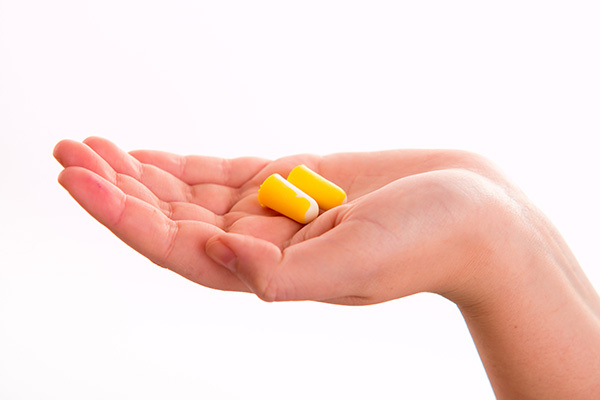 You have tinnitus for days, and there’s every chance that permanent hearing loss can set it. So, if you go to a concert, then you really need to bring some form of ear protection. Most people avoid this as they believe it means they won’t be able to hear the music. However, if you consult a hearing care provider, they’ll tell you that ear protection simply makes noises much quieter. So, you can still hear the music, just at a safer volume. In general, ear protection is necessary when you spend extended periods of time around loud noises, or are exposed to excessively loud noises for a short period of time. To know what kind of ear protection is best for you, feel free to contact a hearing health professional to discuss the various options.